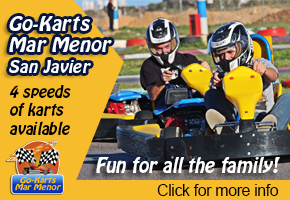 La Manga del Mar Menor is located to the east of the town of San Javier, about 50 km to the south-east of the city of Murcia, and consists of a strip of land which encloses the lagoon of the Mar Menor. 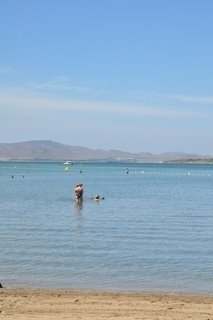 This spit of land, separating the Mar Menor from the Mediterranean, is breached only by narrow channels or golas. 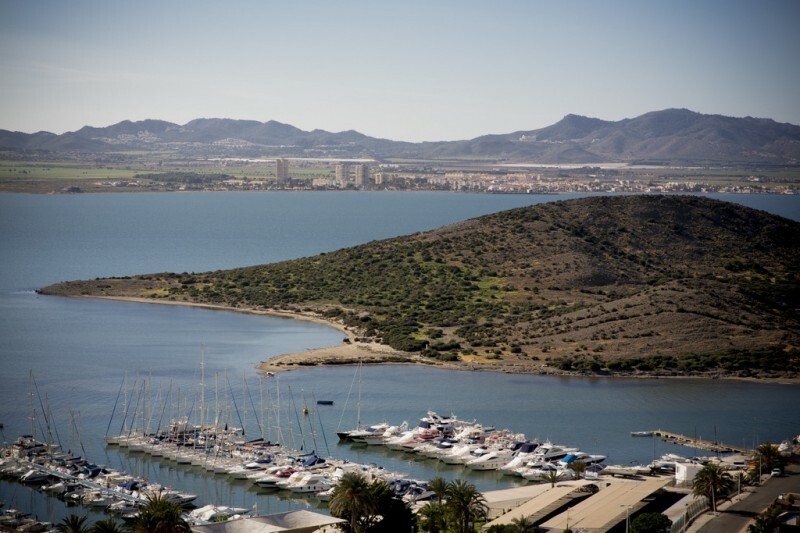 Today it is a focal point for tourism activity in the Mar Menor and is shared between the municipalities of San Javier and Cartagena, the end closest to the mainland belonging to Cartagena, then changing to the jurisdiction of San Javier part way along. 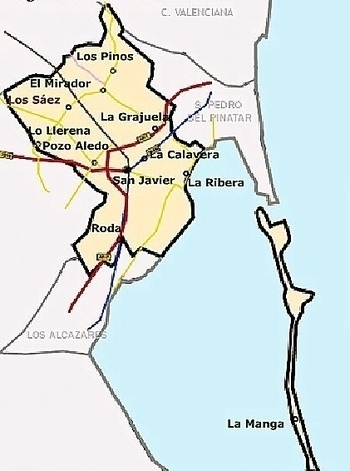 The history of human habitation and activity on La Manga and in the rest of the Mar Menor area has always been dictated by the geological peculiarities of this “sleeve” (“Manga”) of land, which runs for a total length of 21 km from Cabo de Palos in the south to San Pedro del Pinatar in the north. The origins of its emergence lie in the Tertiary Era, dating to between 65 million and 1.7 million years ago, when the Baetic mountains were being formed and the area which is now the Mar Menor was an open bay on the Mediterranean coast. As a result of the folding and rising of the land over a period of around 10 million years, the basin of the bay was filled with a large quantity of sediment from the Campo de Cartagena and the rivers which ran through it. At the same time, a series of volcanic eruptions under the sea bed gave rise to the islands close to La Manga, the land mass of Calnegre and other small promontories. These areas of higher ground contributed to the natural tendency of the marine currents from the north to run into Cabo de Palos, depositing a spit of sand which gradually grew until it almost completely closed off the lagoon. By about 2,000 years ago the Mar Menor began to look similar to nowadays: it was becoming a closed lagoon, linked to the Mediterranean by “golas” (small channels), and gradually became almost completely separated from the “Mare Nostrum”, of which it had previously been a bay. Prehistoric evidence is scarce, although there are traces of Theropitecus Oswaldis, an early pre hominid, in the Cueva Victoria nearby in El Beal, dating to 2.5 million years ago and later on Neanderthals are known to have inhabited the Cabezo Gordo in Torre Pacheco, looking out across to the Mar Menor. San Pedro del Pinatar was an important trading port at this point in time, Greeks and Phoenicians taking advantage principally of the shelter offered by the sandy spit and the islands of Isla Grosa and Farrallón, and the subsequent shelter inside the Mar Menor itself. Other archaeological discoveries have been made beneath the water near Punta de Pudrimel and Los Escolletes del Estacio although the Bajo de la Campana is by far the most important, yielding significant quantities of trade goods and materials. Click Bajo de la Campana for more information about this important site. 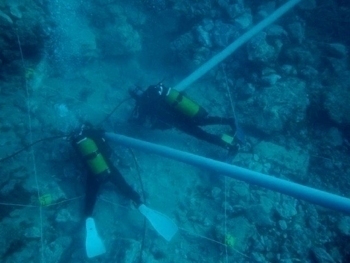 Other sites have yielded Roman material - indeed archaeologists discovered a Roman wreck on top of the Phoenician vessel at Bajo de la Campana, showing the volume of vessels passing through these waters during the Carthaginian and then the Roman occupations. The water of the lagoon has a high level of salinity, and the Romans took advantage of this natural characteristic to develop an important food-salting industry in the area, creating the salt salinas in San Pedro del Pinatar and around the shores of the Mar Menor. They also developed salt fish industrial production, shipping garum, a pungent fish sauce, across the Roman Empire, as well as exporting vast quantities of silver, lead and other minerals extracted from tmineworks in the Sierra Minera, estimated to have employed than 35,000 slaves during its period of peak activity. The Moors took control of the Murcia area in AD713, contributing to the development of La Manga and the area of the Mar Menor, introducing fishing devices known as “encañizadas”. These were placed in the natural channels between the Mar Menor and the Mediterranean, to trap fish in a labyrinth of cages from which they were unable to escape. Some of these systems are still used today to catch mullet and other species typical of the Mar Menor. In the 16th century the coastline of the Mar Menor and the rest of Murcia became unsafe, due to the frequent pirate raids launched from the north of Africa. The persistence of these attacks led Carlos I and his son Felipe II to order the construction of watchtowers along the shoreline, and one of these was erected in La Manga during the first half of the 16th century. The tower, known as the Torre de San Miguel, was a circular construction with its own rainwater deposit, and was situated in El Estacio. It was built using stone from the road of San Ginés de Orihuela, which is between Torre de la Horadada and Campoamor. In 1571, Felipe II prepared plans to build a larger fortress on Isla Grosa, but was eventually deterred from doing so by the general insecurity of the area. Instead he ordered that the Torre de la Encañizada, of which some remnants are still visible, be built. At this time La Manga del Mar Menor was covered by extensive forests of pine, holm oaks, and yew trees, which were gradually felled during the Middle Ages. When, during the 18th century, the pirate raids began to peter out, the coastline became a safer place to live again, and the forests and bushes were exploited commercially in order to provide firewood and other products. This added to the deforestation which the prevailing winds naturally caused. In the Chanchillería of Granada there is a hand-drawn map which sheds some light on how the area would have looked in the 18th century. The map shows the tower at El Estacio and eight others on the inland shore of the Mar Menor, as well as the three channels which linked the Mar Menor to the Mediterranean. La Manga del Mar Menor belonged to the State, but the laws freeing land of encumbrances in 1855 and 1856 enabled it to pass into private hands for the price of 31,000 reales (7,750 pesetas, or about 46 euros). The new owners were the predecessors of the speculators who later developed the area and promoted the first buildings on the spit. However, these new owners soon sold the land on: the Maestre family began to buy it up at the end of the 19th century. 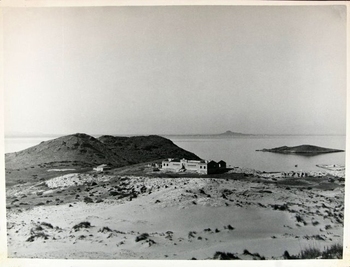 By the decade of the 1950s the northern end of La Manga was entirely owned by Tomás Maestre Zapata, the head of the family at that time. The southern end, nearer Cartagena, was dominated by a property known as the “Encañizada de Marchamalo", which had been granted to José Huertas in 1868 in order for him to establish a fishing business there, and was later acquired by the mining magnate Francisco Celdrán. 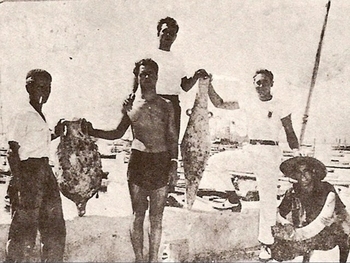 In 1956, one of Tomás Maestre Zapata’s nephews, Tomás Maestre Aznar, persuaded his uncle to sell him his rights in the north of La Manga in order to work on a project of his own in the area. Maestre Aznar was a lawyer living in Madrid, and in order for his plan to come to fruition he also needed land in the southern half of La Manga: his idea was to develop a general urbanization and construction plan for both the southern and northern tips of the spit, leaving an unspoilt area in the middle where the natural landscape and ecosystem would be preserved. After various years of legal proceedings, disputes with his own family and negotiations with Celdrán, he eventually became the owner of the whole of La Manga del Mar Menor, and began to turn it into a holiday destination and international tourist resort. In 1961, with the land now under his ownership, the first urbanization project was begun under the supervision of the architect Antonio Bonet Castellano. 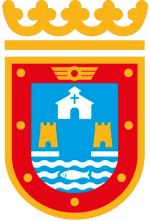 La Manga fell under the jurisdiction of the Town Halls of San Javier and Cartagena, and Maestre Aznar secured the support of both, but the real seal of approval came with the visit to the area in 1962 of Manuel Fraga Iribarne, the Minister for Tourism. It was he who, having seen the beaches of La Manga, gave central government support to the promotion of La Manga as a centre for tourism. Sr. Fraga went on to have a long political career both under Franco and in the era of democracy, not retiring as president of the Region of Galicia until 2005. The plans were finally passed between 23rd July 1966 and 16th December 1968 by the Urbanism Commission in Murcia, giving approval to two tourist centres, originally known as "Hacienda de La Manga de Cartagena" and "Hacienda de La Manga de San Javier". In Phase 1 (1963-64) work was begun on the Gran Vía and adjacent roads near the homes which were known as Los Cubanitos or Bungalows Tipo III, Estudios Pantalla, Urbanización Marysol, Torre Júpiter, Bungalows Tipo I and II, Urbanización Quinta Avenida, Conjunto Miramar and the Urbanización Conjunto Hexagonal, known as the Torre Negra. This was a landmark for the tourist sector in the Region of Murcia, as it was the first time that it was easy to acquire a second home for people to spend their holidays by the sea. During Phase 2 (1964-65) work was completed on the Bungalows Tipo I and II and the Estudios Pantalla, while a start was made on the Bungalows Tipo III, the Hotel Entremares and the Centro Comercial Entremares. 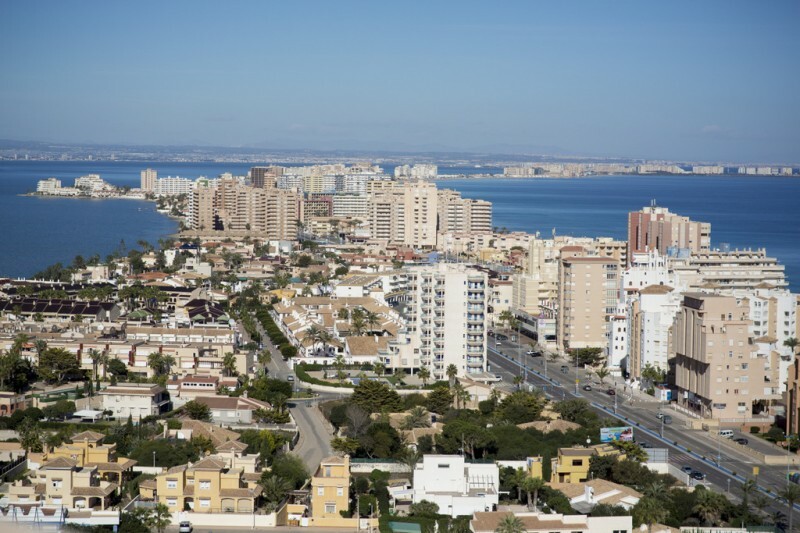 From this point on the landscape of La Manga del Mar Menor began to take on the appearance it has now, with numerous developments right next to the beach, as well as bungalows, shopping centres, restaurants and skyscrapers such as the "Torre Júpiter" and the "Torre Varadero". By the start of the 1970's the status of La Manga as a consolidated tourist destination was undisputed, and it became internationally famous, appearing in holiday brochures all over Europe. 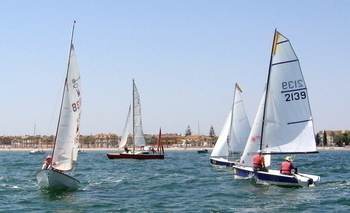 During the decade the Puerto Deportivo Tomás Maestre was built, as well as the plots of land and navigable canals at the northern end of the spit, the area of Veneziola and the Casino del Mar Menor. However, during the 1970's, construction faltered due to economic recession and much of the land was partitioned off for sale, with many promotors and constructors getting in on the act and taking on parcels. 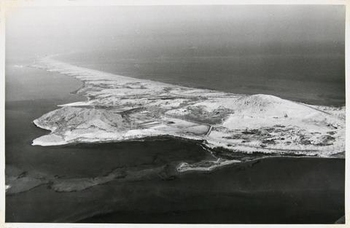 Construction became a lot more haphazard, and concentrated, resulting in the total destruction of the natural coastline, irrevocably changing the face of the barren spit of sandy land. The La Manga Strip was born. Today the area remains popular with tourists and holidaymakers, with beaches on both the Mediterranean and Mar Menor coastline and hundreds of apartments available for rental throughout the year.